The conflict that erupted in the three states of Darfur in western Sudan has many dimensions to it: regional, national and international. 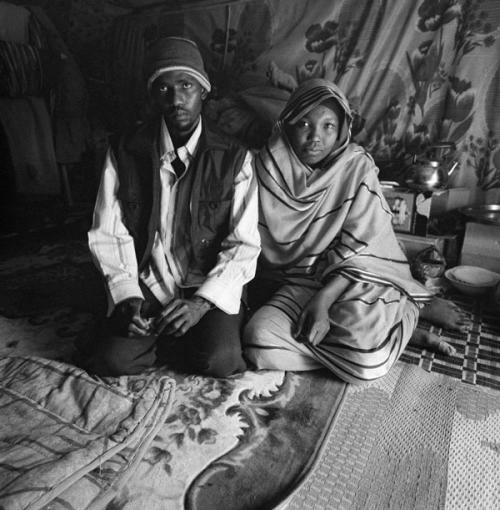 It began in early 2003 between two armed rebel groups (the “Sudan Liberation Army” and the “Justice and Equality Movement”) and the Government of Sudan after attacks of the rebel groups on civilians, towns and Sudanese government facilities. By the spring of 2004 thousands of people - mostly from the non-Arab population - had been killed and as many as a million more had been driven from their homes, causing a major humanitarian crisis in the region. The crisis took on an international dimension when Darfur refugees poured into neighboring Chad, pursued by groups of armed Sudanese Janjaweed militiamen who clashed with Chadian government forces. The Chadian government countered the attack in heavy fighting around the village of Habile, which is also the site of a makeshift camp for internally displaced Chadians, and called for the citizens of Chad to mobilize themselves against the "common enemy", referring to Chadian rebels - allegedly backed by the Sudanese government - and the Janjaweed who crossed over the border from Sudan while pursuing refugees and raiding cities.